A couple of tree and rock scenes with his, hers and ours animations. Nice addition to any sim. 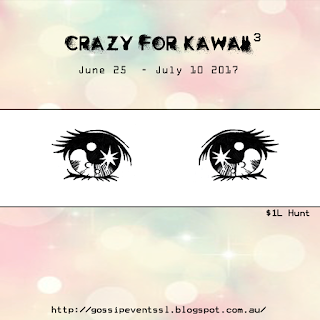 Crazy for Kawaii brings you some of the super cutest prizes in Second Life. We are bringing you an adorable bench with super Kawaii coupes animations as well as his n hers single animations. Bonus gifts of the cute sun and cloud decor and the cherry tree decor are included. You can check out the prizes in world nearby the starting point at the store.